The Epicenter K Group, developing the agricultural business since 2016, has invested UAH 6 billion in agriculture and plans to invest UAH 2.5 billion more in silos, the co-owner of the company Halyna Hereha said at the Forum of Innovative Production Facilities Development held in Bila Tserkva on Thursday. “We have invested UAH 6 billion in the agricultural sector, and we need another UAH 2.5 billion to complete the silo project. These are not only our funds, but also loans. Last year, we started building three silos and reconstructing six. Therefore, now a big investment is unrealistic,” she told Interfax-Ukraine. According to Hereha, the company also intends to develop the dairy business. “We have animal husbandry of 20 dairy farms, but the volumes are small. In the future we plan to develop the business. There is a question of processing milk. We have not invested in animal husbandry yet, but we are discussing this,” she said. Hereha also said that Epicenter also postponed the oilseeds processing project due to the unfavorable situation on the oilseeds market. “At present, the oil industry is declining, as producers cannot agree among themselves and simply dump the market. Therefore, we have stopped the processing process in the oil industry, but in the future we will do something interesting,” she said. Hereha added that Epicenter is actively introducing new technologies, in particular, updating equipment and investing in the laboratory and precision farming. “In addition, we have a woodworking plant in Ivano-Frankivsk region. Now it makes a lot of products, a large percentage of them is exported, and some of them are for sale in the Epicenter [network],” she said. Capital investment in agriculture in 2018 totaled UAH 90 billion, including UAH 25 billion invested in processing, Ukrainian Prime Minister Volodymyr Groysman has said. 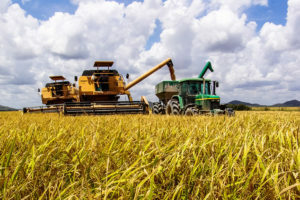 “Last year, UAH 90 billion were invested in the agricultural and industrial complex, almost UAH 25 billion were funds invested in processing… We have not yet used even a third of our potential [in the agricultural and industrial complex],” he said at the tenth Agroport West Lviv International agricultural exhibition and forum on supporting farming held in Lviv on Thursday. According to him, the share of agriculture of Ukraine’s GDP is 17%, but only 4% of it are processed products, the rest is raw materials. “Our task is to change this structure. 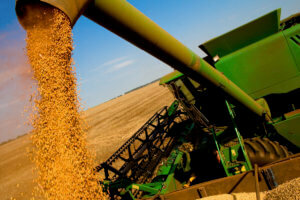 At least a quarter of the gross product should be for the agricultural and industrial complex. We must increase the in-depth processing of Ukrainian products,” Groysman said. The prime minister said that products grown in Ukraine are represented in 190 countries. The U.S. Department of Agriculture (USDA) in December reviewed upwards the forecast for export of corn from Ukraine in 2018/19 agricultural year (July-June) by 1 million tonnes compared with the September forecast, to 28 million tonnes. According to a posting on the website of the USDA, the forecast for corn harvest for 2018 is increased by 1.5 million tonnes, to 35 million tonnes. Corn production in in Ukraine increased thanks to larger crops harvested, and if the forecast volumes are harvested the harvest forecast this month would exceed the previous record hit in 2016/17 agri-year by almost 20%, the department said. USDA retained its forecast for export of wheat from Ukraine in 2018/19 agri-year at 16.5 million tonnes and the harvest forecast – at 25 million tonnes. 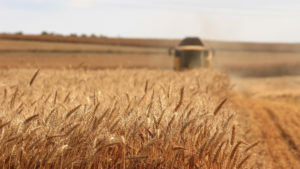 In general, USDA revised upwards the forecast for grain harvest in Ukraine by 1.5 million tonnes, to 68.7 million tonnes and grain exports – by 1 million tonnes, to 49.2 million tonnes. The U.S. Department of Agriculture (USDA) in November improved the forecast for soybean exports from Ukraine for the 2018/2019 marketing year (MY, September-August) by 5%, or 150,000 tonnes compared to the September forecast, to 3.1 million tonnes. According to a report on the website of the American department, the USDA increased the forecast for oilseed exports from Ukraine by 100,000 tonnes, to 5.7 million tonnes, processing by 50,000 tonnes, to 15.55 million tonnes. The USDA forecast for meal exports was adjusted upward by 80,000 tonnes, to 5.15 million tonnes, oil by 20,000 tonnes, to 5.85 million tonnes. According to the USDA forecasts, in the 2018/19 MY sunflower seed production in Ukraine will increase by 9.5% compared to the previous marketing year, to 15 million tonnes, meal by 6%, to 5.98 million tonnes, and oil also by 6%, to 6.2 million tonnes. The export of sunflower seeds in the 2018/2019 MY could increase by 2.6 times, to 100,000 tonnes, meal by 8.5%, to 4.6 million tonnes, oil by 5%, to 5.6 million tonnes. The USDA lowered the forecast for global production of oilseeds this month to 599.6 million tonnes (604 million tonnes in the September forecast). 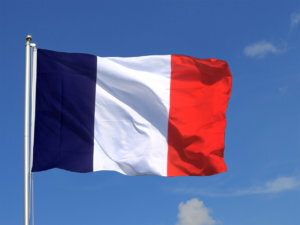 Ukraine and France plan to create a joint meteocluster for agriculture, the press service of the Regional Development, Construction, Housing and Utilities Economy Ministry has reported. “We are planning to create a joint meteocluster for agriculture and assistance to farmers. This is about bringing new technologies to the processing of meteorological data. This is necessary to obtain more accurate weather data, increase harvest and crop protection, introduce system monitoring of climate change and further modeling,” Deputy Prime Minister, Regional Development, Construction, Housing and Utilities Economy Minister of Ukraine Hennadiy Zubko said. According to the report, the Ukrainian-French intergovernmental commission on economic cooperation came to the relevant agreements. According to the press service of the ministry, the representatives of the countries also agreed on attracting French companies to the development of Ukrainian farms, investments in seed production, and on strengthening cooperation in animal husbandry, in particular, in the dairy sector. In addition, the countries plan to develop cooperation in IT and cybersecurity, and French companies will take part in energy efficiency and renewable energy projects, as well as in public procurement through the ProZorro e-procurement system. Grossdorf agrochemical company has launched production of multicomponent solid granular mineral fertilizers with a total capacity of 35,000-50,000 tonnes per year in the village of Khatsky (Cherkasy region), Commercial Director of Grossdorf Serhiy Ruban has said during the official opening of production. “The company plans to increase production capacity to 100,000-150,000 tonnes per year,” he said. 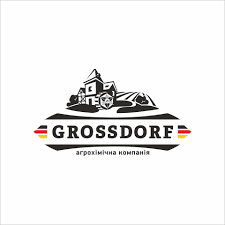 Grossdorf intends to produce fertilizers by the method of compacting: certain components under high pressure are compressed to form a single granule. The company said in comparison with other methods of granule formation, the compactor allows quickly changing the component composition and producing goods with any number of components. Grossdorf agrochemical company (Cherkasy) was established in 2016. It is engaged in production, import, transportation of fertilizers, as well as providing services for application of anhydrous ammonia. 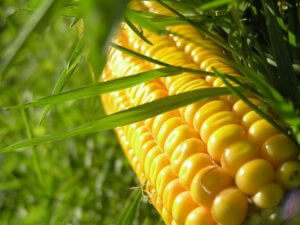 Its core business is the supply of basic fertilizers for precision farming. The capacity of liquid fertilizers production is 350,000 tonnes per year.